To start, a Plant Portrait*, about Cervantes. Miguel de Cervantes Saavedra was born in a small university town near Madrid called Alcalá de Henares but his epic work, Don Quixote, was set in the vast arid plateau of La Mancha, a little further south. Cervantes lived from 1547 to 1616 (dying in the same year as William Shakespeare), losing the use of left arm in a war injury and becoming imprisoned in Algiers for five years (from where he tried to escape four times, unsuccessfully). Returning to Spain and marrying at 37, he settled in Seville, into the first of a series of government jobs (this one as Commissary of Provisions for the Spanish Armada). He was arrested for theft at least twice and it's said that the first part of Don Quixote was written while in jail. The history of the valorous and witty knight errant, Don Quixote, of La Mancha - as the full title is sometimes translated - was published in two volumes, the first (The Ingenious Hidalgo [Gentleman] Don Quixote of La Mancha) appearing in 1605 when Cevantes was 57. Cervanates moved to Madrid in 1609 and continued to write. 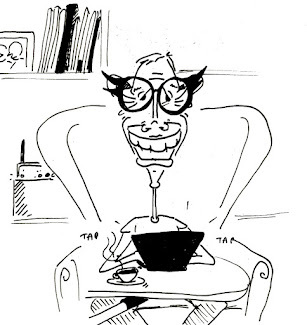 His first volume of Don Quixote was a big success. So much so that in 1614 another author, Fernández de Tordesillas, published a second volume, spurring Cevantes to do the same, which was published a year before his death (as Second Part of the Ingenious Knight Don Quixote of La Mancha). Cervantes never realised the fame or the fortune he desired. "It is easy to see," replied Don Quixote, "that thou art not used to this business of adventures; those are giants; and if thou art afraid, away with thee out of this and betake thyself to prayer while I engage them in fierce and unequal combat. And so it goes. If you haven't read it, do. But be warned, it's a (very) 'long read'. La Mancha is still home to the monstrous giants, particularly around Consuegra, although I gather they now process tourists rather than grain. Wine and (Manchego) cheese are the chief export products these days, but away from the olives and vines there is a fascinating flora. According to Linnaeus (according to Kelly Lipscomb), Spain as a whole is 'the India of Europe', a reference to its diverse flora with more than half only found (endemic) on the Iberian peninsula. Out of a flora of 8,000 species known today, 1600 (c. 20%) are endemic to the country of Spain. Much of the La Mancha plateau is very dry, sometimes with salt accumulating at the surface, producing what is called a 'salt-steppe' (a relatively flat, treeless grassland on salty soils). This results in a large number of endemic plants with their closest relatives in North Africa, Turkey or even the Caspian Sea (all of which have have similar salt-steppe areas). About 200 plant species are restricted to La Mancha and a few other steppes in Spain, and about 30% of all the plants growing in these habitats are rather short-lived annuals, coming up after rains. According to Flowers of South-west Europe (by O. Polunin and B.E. Smythes) I'm to look out for 'tall and spectacular' thistles in arid areas of La Mancha: genera such as Carlina, Carduus, Carthamus, Scolymus, Onopordum, Cynara, Cirsium and Centaurea. Which gives me licence to include this (probably) Cirsium vulgare from a roadside in southern of Spain, photographed back in 2012, and above, a Cynura cardunculus from Kew Gardens, photographed in 2011. And as to the two crocus images (taken by Royal Botanic Gardens Kew's talented photographer Andrew McRob), they are presumably cultivars of Crocus vernus, a species native to Spain but not I don't think to La Mancha. However they are my token representative of an important crop plant of the region. 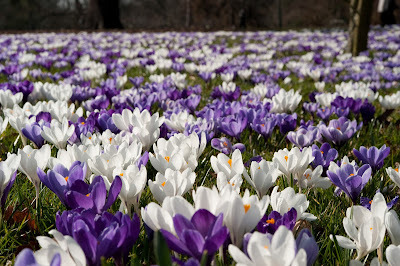 Crocus sativus is widely planted in La Mancha for saffron production. In late October the purple flowers are harvested for their three pronged 'stigmas' (the female bit sticking out of the middle of the flower). 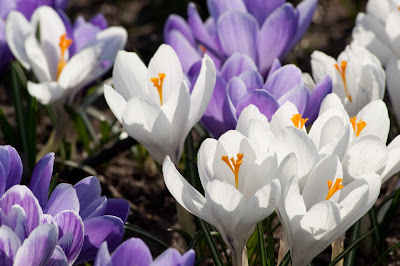 Spain, after Iran, is the second biggest producer of saffron in the world. The Moors brought saffron to Spain when they occupied the region between 600 and 1400, and La Mancha has remained the main crocus growing area and now has Protected Designation of Origin (PDO) status. So when I visit in May I'll be on the look out for monstrous giants disguised as windmills, thistles of all kinds, but sadly not crocus flowers. However I will no doubt enjoy their female bits flavouring and colouring a dish or two in the late evening. 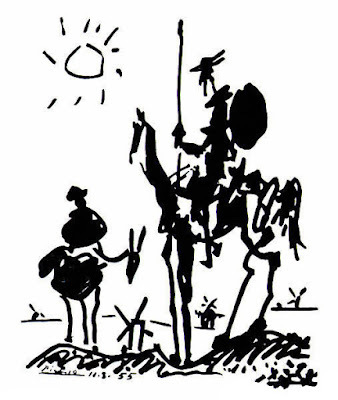 The image of Don Quixote and Sancho is by Pablo Picasso, from 1955. I used to have T-shirt with it emblazened on the front but that is long gone so I've copied the image from www.PabloPicasso.org.